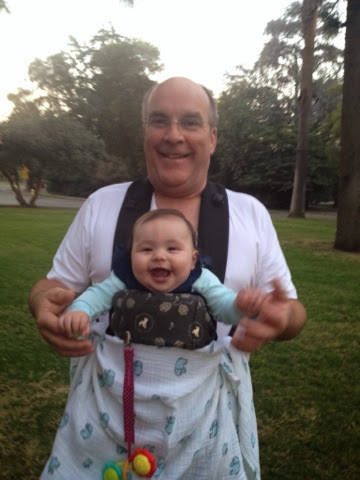 Last week I was walking in the park with my granddaughter Maddie. Seeing our joy and knowing how fragile life is, gives me pause. My deep connectedness to my family surrounds and fills my heart, and at the same time terrifies me. We are so vulnerable to the ones we love. I wonder what joy and sorrow are in God's heart. We are so vulnerable to the ones we love. Tagged: Madelynn and me, out for a stroll.